Albuquerque has a good share of family friendly winter activities to keep the short days and long nights from becoming too dreary. Whether you're an active sports participant or someone who enjoys a leisurely stroll through the woods, there are places to find an activity that's right for you. Albuquerque in winter can be a surprise to those who aren't familiar with the area. Santa Fe gets plenty of snow, but surprisingly, Albuquerque gets some too. When it doesn't, there are always the Sandias. Snowshoeing is as easy as walking, albeit with a pair of overgrown shoes. There are places to rent snowshoes in Albuquerque if you don't own your own, and the trails are a short drive away into the Sandias. Snowshoeing is an easy sport to learn, and when in the company of family and friends who have also donned their special shoes, who could ask for more? 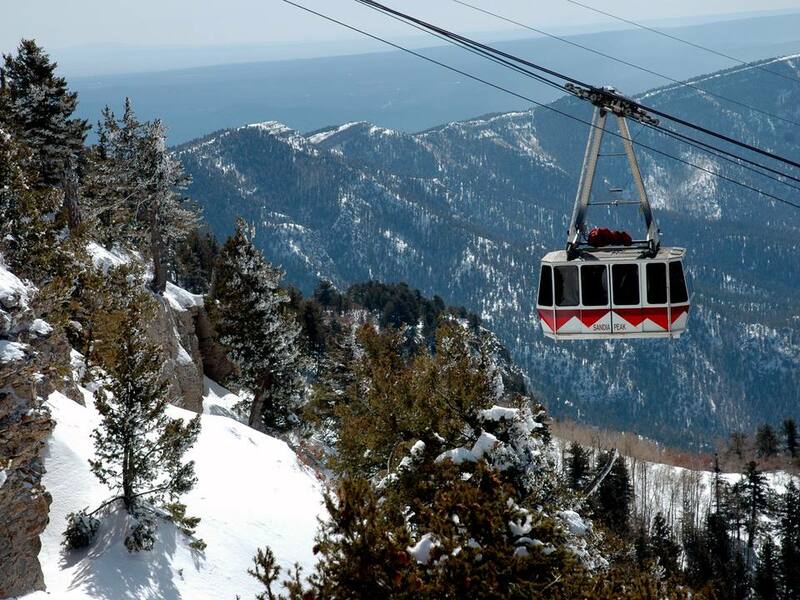 With a drive that's less than an hour away, the Sandia Peak Ski Area provides a fun day on the slopes with little time spent getting there. With four chairlifts, a snow sports school, rental equipment, a cafe and a ski shop, there are plenty of options for beginners as well as seasoned skiers. There are ski rentals if you don't have your own, and snowboarding runs have great appeal for the tweens and teens. Open 9 a.m. to 4 p.m.﻿ Wednesday through Sunday. If you feel like getting out of town, there are many other ski areas in New Mexico to enjoy. Ice skating is a great way to burn off some calories while having a bit of fun. Ice skating rinks in the Albuquerque area offer lessons, public sessions and fun for kids and adults alike. Albuquerque has many trails to choose from, whether you're interested in hiking into the mountains or taking a walk along the bosque. The Valles Caldera is now part of the National Park Service, and offers winter snowshoeing and cross country skiing. There is also wildlife viewing of 51 species of mammals, including the second largest elk population in New Mexico. On a rainy day, or when the temperatures are too low, indoor play centers are a great place to take the kids. Let them run and burn off a bit of energy at one of these play places. You'll find go carts, arcades, climbing walls and more. Pick up a ball and head to a lane. It's a fun activity any time of year, but bowling is a great way to exercise in winter if it's too cold for you outside.